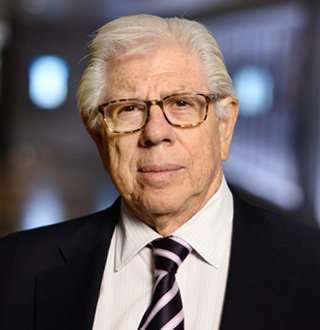 American veteran media personality Carl Bernstein has finally been able to relish ecstatic married life with his current wife after going through the agony of two failed marriages. The Washington D.C. native is an investigative reporter, who is best known for disclosing Watergate Complex scandal with his fellow companion, Bob Woodward while he was working for The Washington Post. Carl currently serves as a political commentator at CNN and also the author of five best-selling books. On 14 February 1944, Carl was born to the Jewish family of Sylvia and Alfred Bernstein in Washington, D.C. After graduating from Montgomery Blair High School in Silver Spring, Maryland, Carl went on to the University of Maryland but dropped out of it pretty soon. Having started his career in journalism at the early age of 16 as the paperboy for The Washington Star, Carl rose through the ranks pretty fast. However, since he did not have the college degree, they did not allow him to write for the paper. Carl's journalism career actually started as a full-time reporter for the Elizabeth Daily Journal in 1965. A year later, he got a breakthrough in his career, joining The Washington Post. In 1972, Carl and his teammate, Bob Woodward narrated the detailed report about the illegal activities undertaken by administrative members of the American President, Richard Nixon in the Watergate office complex. The Watergate Scandal led to the numerous investigation by the government and later it resulted in the resignation of the president in August 1974. Covering the story of the scandal, Carl and Bob published a book, All the President's Men in 1974 and The Final Days in 1976, which became the best-seller. Carl left the newspaper in 1977 to join ABC News, where he worked as a senior correspondent. He is also an author of some popular books that include His Holiness: John Paul II, Hidden History of Our Time, and A Woman in Charge. Related to Another Political Scandal: Monica Lewinsky Historical Affair Haunts Till now; Hinder In Married Life? From his journalism career, Carl has amassed the splendid amount of net worth. Though the exact amount is not known, it is supposed to be in millions, evidenced by the fact that he earned the salary of $18000 at his time on The Washington Post. Moreover, Carl and Bob earned $5 million by selling the Watergate papers in 2003. Even more, for the Watergate reporting, the duo won a Pulitzer Prize in 1973, which must have added to their net worth, though the prize more than just money. Carl Bernstein is currently married to former model Christine Kuehbeck. The couple tied the knot on 4th July 2003 in Reykjavik, Iceland. According to his website, Carl and Christine reside together in New York. They are still enjoying their blissful married life and attend several events together. Recently, in October 2017, the pair were spotted at the Vanity Fair award 2017 in Madrid, Spain. Well, it was his third marriage to Christine as his previous two marriages ended in divorce. He was first married to his workmate on The Washington Post, Carol Honsa in April 1968, which lasted for only four years until 1972. Repeat, Third Time is a Charm: Jeff Greenfield, Married With Wife And Family; Third Time A Charm? Later, he was married to writer and director, Nora Ephron in 1976 and they got divorced in 1980. Carl and Nora shares two sons from their marital relationship; Jacob, born on 22 August 1978 and Max, born on 16 November 1979. With his current marriage lasting over 15 years and still looking strong as the day they tied the knot, Carl can say that he is not merely a career-man with a dismal personal life. Rather, Carl can boastfully claim that he is a veteran journalist with the equally happy married life.